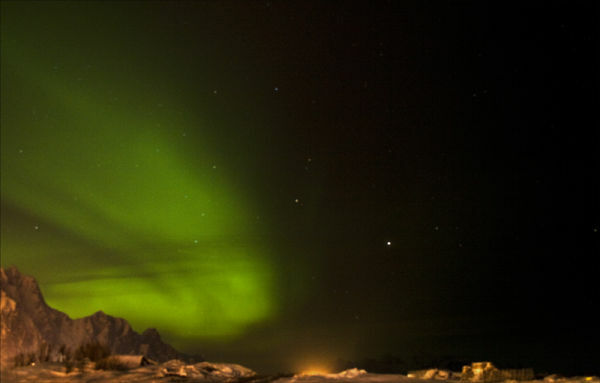 Our first night's view of this natural phenomenon, just on the outskirts of Svolvaer. The lights of the harbour area an unfortunate illumination that I have tried to subdue. Still an amazing sight to witness !! Svolvaer, Lofoten Islands, Norway, Europe.